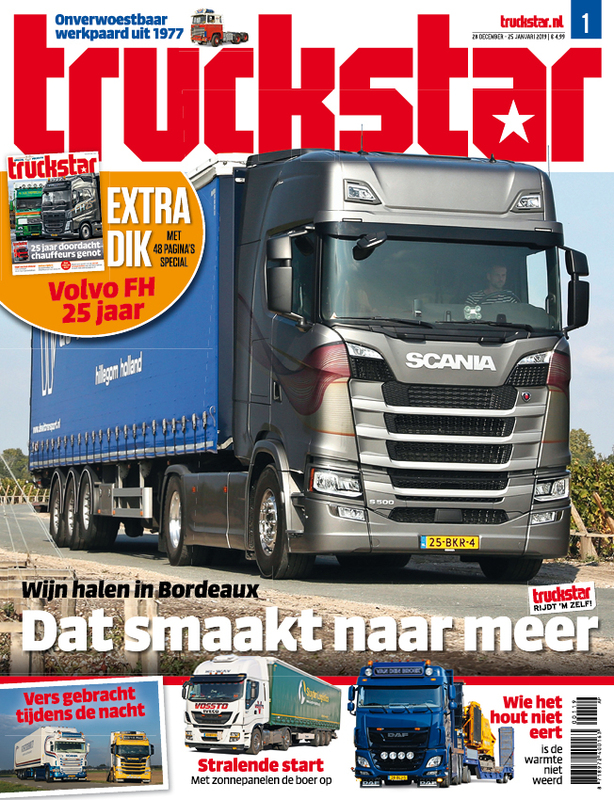 Truckstar Festival is Europe’s largest annual trucking event. The 2019 edition will be held on 27 and 28 July at Assen’s TT Circuit. We will welcome a stunning 2,200 trucks! 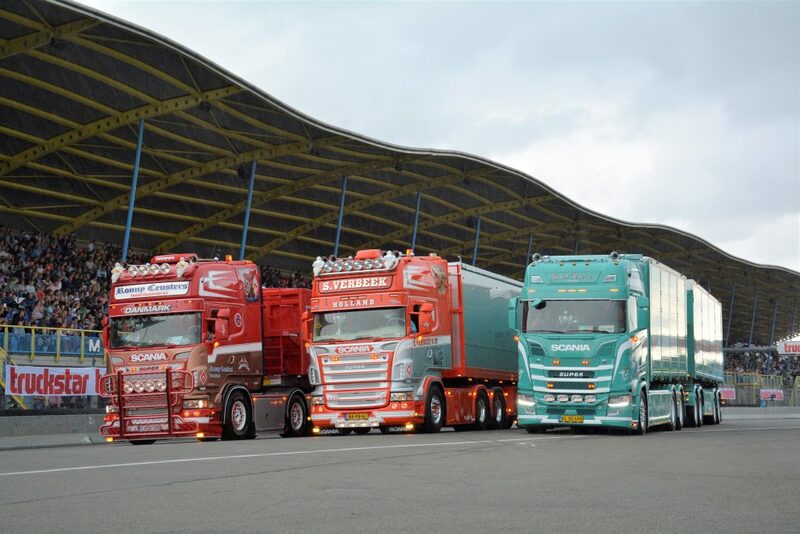 These trucks and their drivers will make their presence felt and heard, and together with an expected 55,000 visitors Truckstar Festival will yet again be a weekend full of diesel, chrome, fun and a great atmosphere. 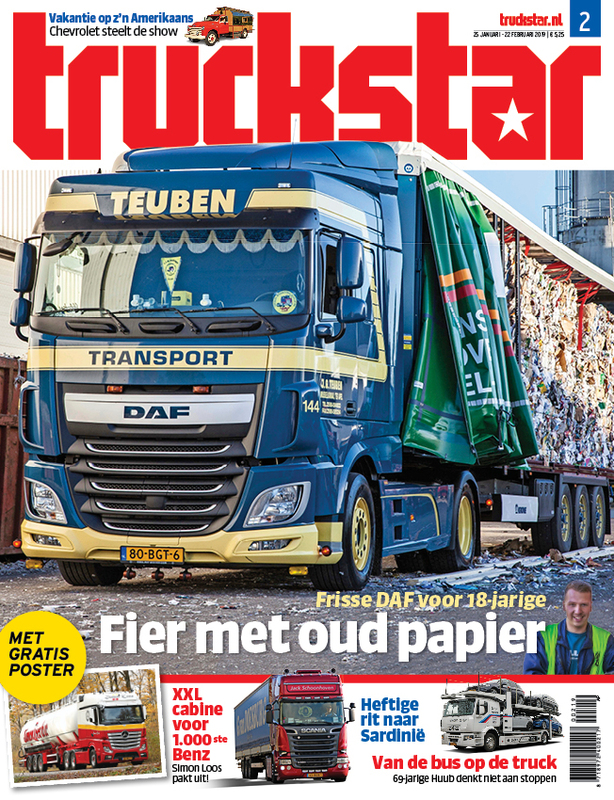 Truckstar Festival 2018 will be the 38th edition. The first edition of Truckstar Festival was organised back in 1981, at the Groenoordhallen in Leiden. Two years later it moved to the famous race track at Zandvoort, where it remained for a number of years. In 1992, the Festival was relocated to Assen’s TT Circuit and it has been there ever since. Even though each year it is packed with exciting demonstrations and thrilling contests, Truckstar Festival is known mostly for its laidback and enjoyable atmosphere, making it a wonderful weekend, or day out for the entire family! 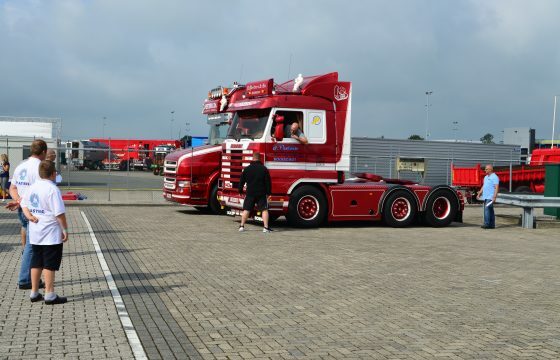 During the event, the TT racetrack turns into one happy transport village, with hundreds and hundreds trucks on display, among which some very special trucks, also from abroad. In addition to the various static displays there will be stunts and races as well, and unique demonstrations such as last year’s main act: Indian Pete. 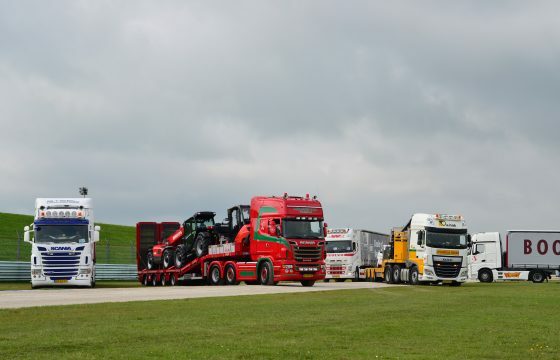 The TT racetrack turns into an enormous truck stop for about 1,700 Dutch trucks that are parked on both sides of the track. On the paddock another 500 trucks that make up the ‘special categories’ take their positions. Plenty of stunting going on in front of the grand stand through out the weekend. Be there with your truck! 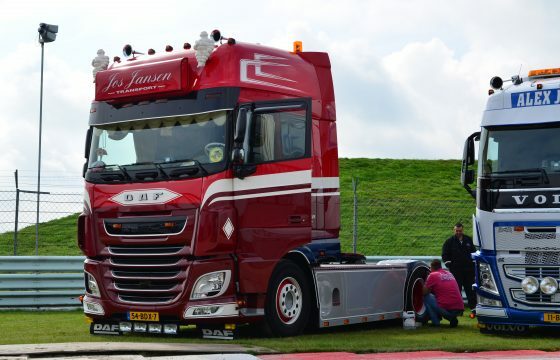 Do you have a special truck which would you love to show to the crowds at Assen? You will be able to apply for an invitation for our special categories. Each year we invite many special trucks from all over Europe. These are special-paint trucks, show trucks or vehicles that are otherwise special, like: American trucks, classic trucks or heavy wreckers for instance. 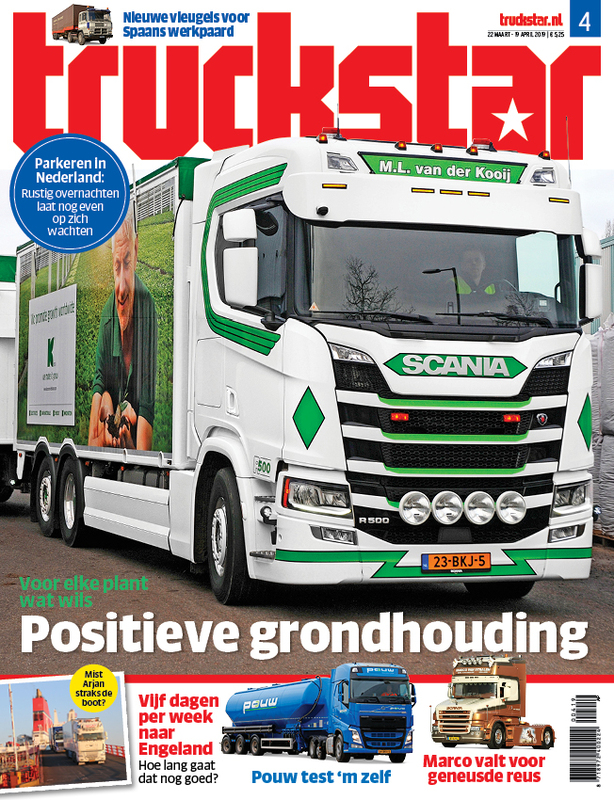 If you have any further questions, please email us at: festival@truckstar.nl. A Norwegian visitor, a beautiful Volvo VN. At night the showtrucks make a colourful light display. 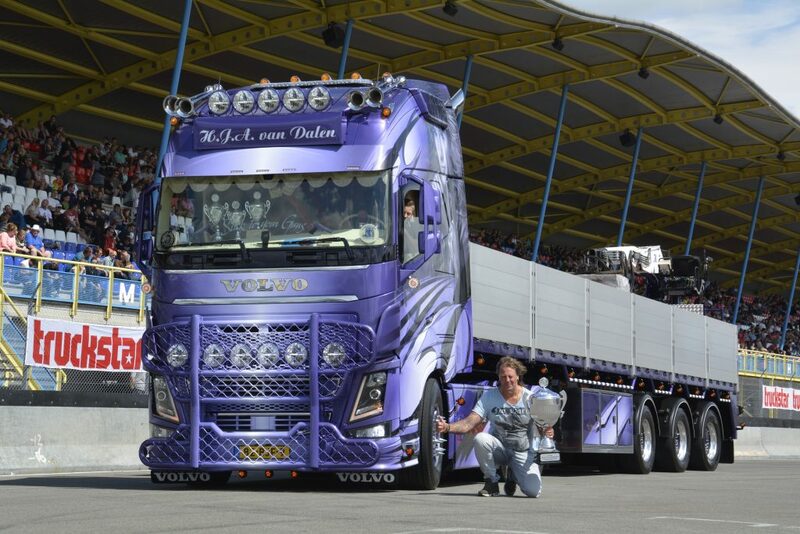 Each year Europe’s most extravagant showtrucks make their way to Assen. In 2017 Franz Müller’s Scania S580 combination was chosen Best of Show after it got the first prize in Special Paint truck competition. The 2018 programme is going to be both exciting and entertaining. Have a seat on the grand stand and watch caravan being raced to smithereens, hear the noisiest trucks thunder past during our decibells contest and enjoy the stuntshows. More info here. Not to be missed either: the announcements of the winners in our truck contests! 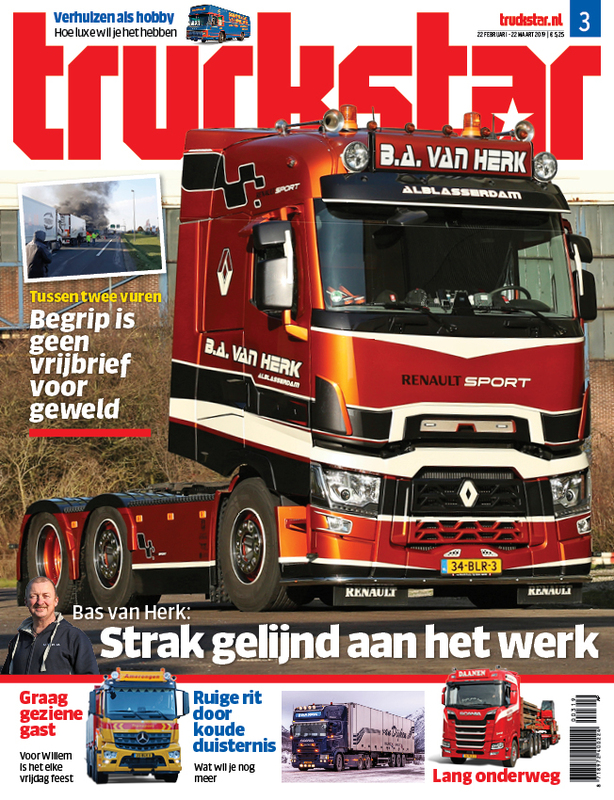 Whose truck will be crowned the most beautiful truck of the Netherlands? 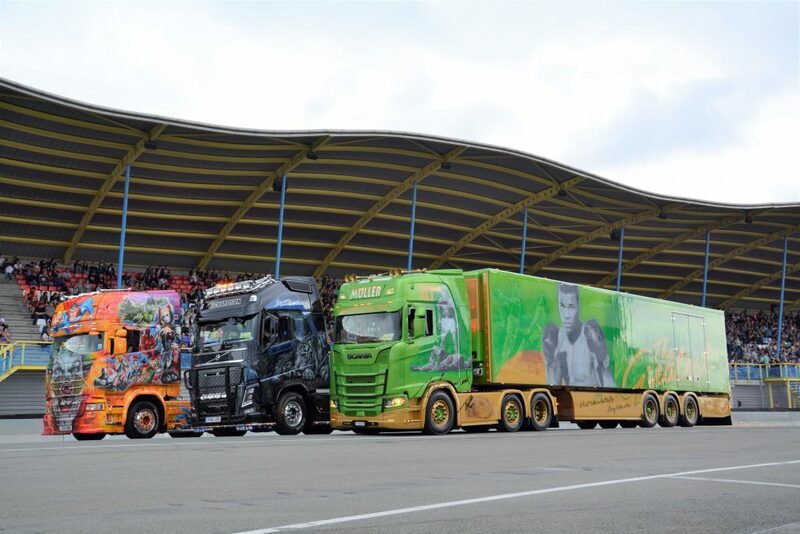 Which truck will win the first price among the Showtrucks, and which one among the Special Paint Trucks. And even more exciting: who will become Best of Show? 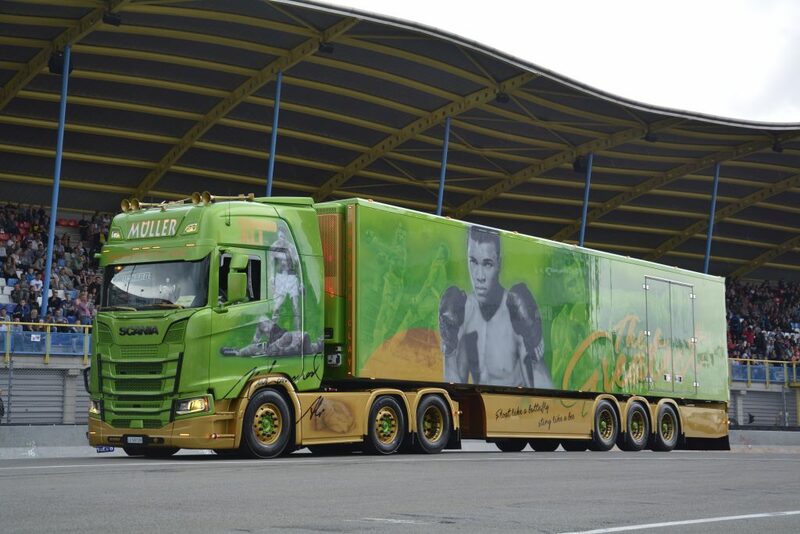 We will have a parade of the many special paint trucks and show trucks from all over Europe. Different prizes are given for these trucks! Each year there is a special village for children too, a large fair and a truckers market. In addition, on Saturday night we organise the ‘Hollandse Avond’ with performances by well-known artists from Holland. 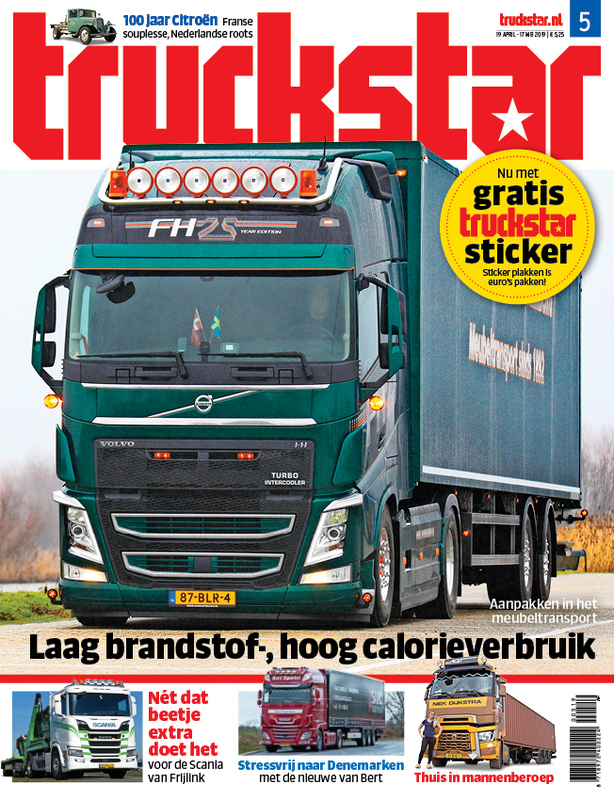 Furthermore, Truckstar Festival hosts a large number of stands for businesses and the big truck brands. The Hollandse Avond – or Dutch Night – features a great line-up of popular Dutch artists. Check this list for more hotels in the area. Check this list for more camping sites in the area. As the Assen TT circuit is situated directly next to the A28 motorway from Zwolle to Groningen, and only one minute from exit 32 (Assen Zuid), the TT racetrack in Assen is easily found. Signs will direct all motorvehicles. Groningen Airport (Eelde) is only fifteen minutes by car from the TT racetrack in Assen. 4. From the west, by way of Smilde, exit Assen, go past the Motel Van der Valk and take a right at the second traffic lights. Near by the TT racetrack there is sufficient parking space. There are no parking fees! Intercity services from major cities like Amsterdam, The Hague, Utrecht, Zwolle, Groningen and Amsterdam Airport Schiphol all call at Assen railway station. Coming from other cities will typically require one to change trains once or in some cases twice. 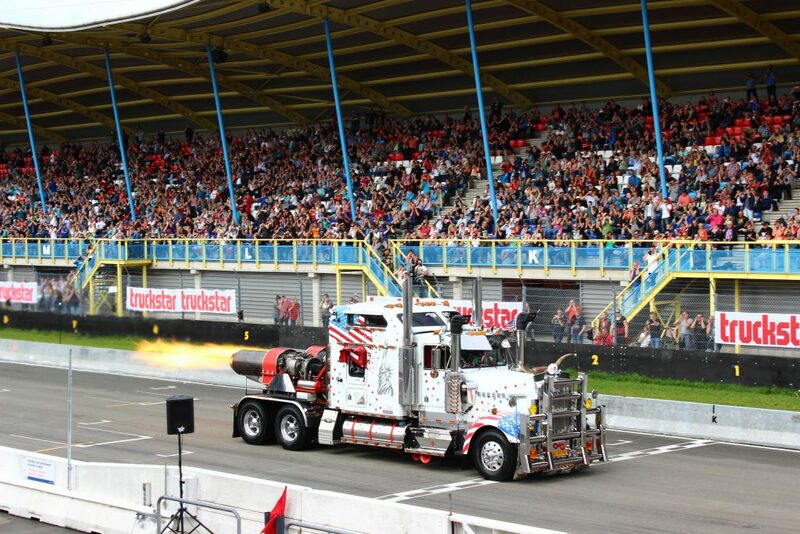 During Truckstar Festival there will be a shuttle service between the Assen railway station and the TT racetrack at least twice an hour. Groningen – 15 miles – 20 min. Hoogeveen – 18 miles – 20 min. Emmen – 25 miles – 30 min. Zwolle – 44 miles – 40 min. Heerenveen – 47 miles -45 min. Utrecht – 94 miles – 1 hr 20 min. Amsterdam – 106 miles – 1 hr 45 min. Den Bosch – 125 miles – 2 hr 00 min. Rotterdam – 137 miles – 2 hr 10 min.